No one would blame you for wanting tactile controls. No one at all. 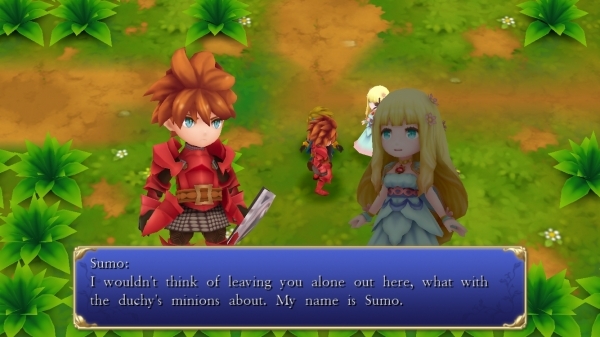 If you missed out on Adventures of Mana when it released for iPhone earlier this year, rejoice! You can grab it now via the PlayStation Store if you're in North America, and it'll run you $13.99. Adventures of Mana is actually a remake of Final Fantasy Adventure with 3D environments and real-time combat that you've got to take part in with on-screen controls. Following a young hero who's on his way to stopping the Dark Lord of Glaive before he can destroy the Tree of Mana, it's an action-packed tale that's definitely worth picking up, especially if you've been hurting for some new RPG action on your Vita. Complete with a rearranged soundtrack from composer Kenji Ito, upgraded graphics and controls and more, this is the version you've probably been waiting for. So have at it!